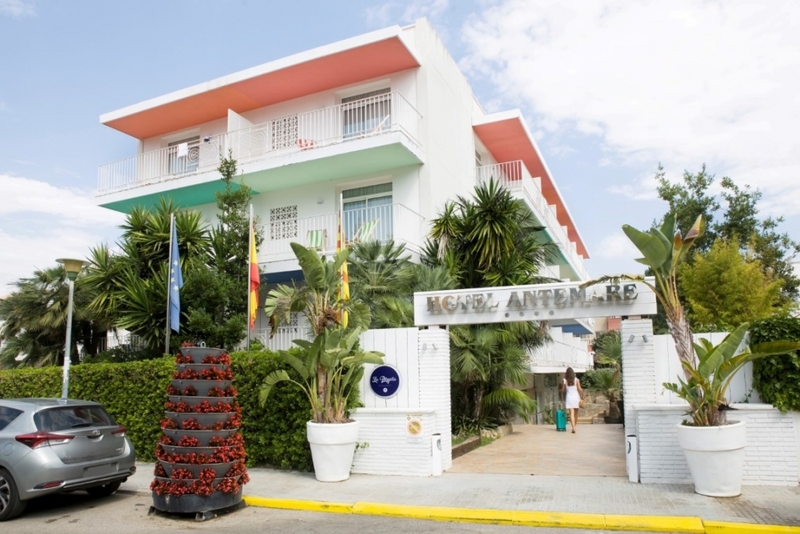 Stay at the Hotel Antemare, the official Sitges Pride Host Hotel! Book direct via the links on this page – the only way to secure the best rate! 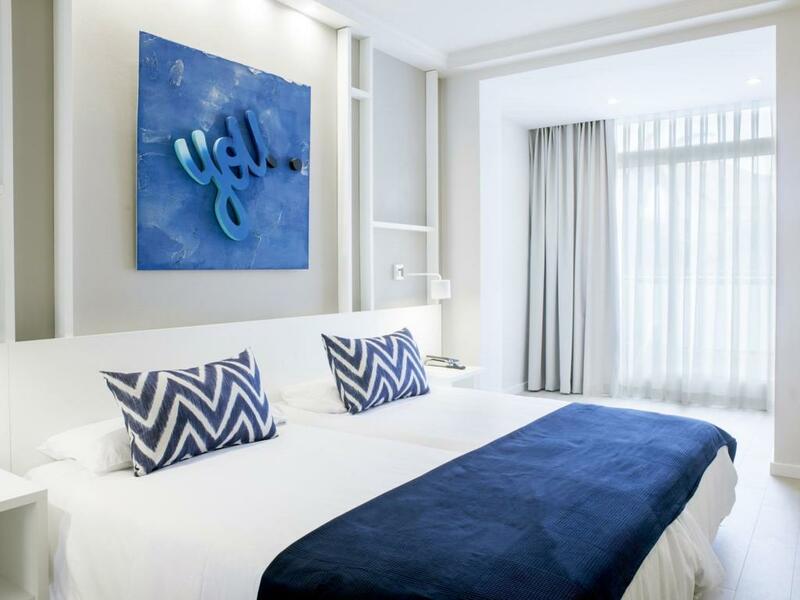 Book your stay at the Antemare for Pride! 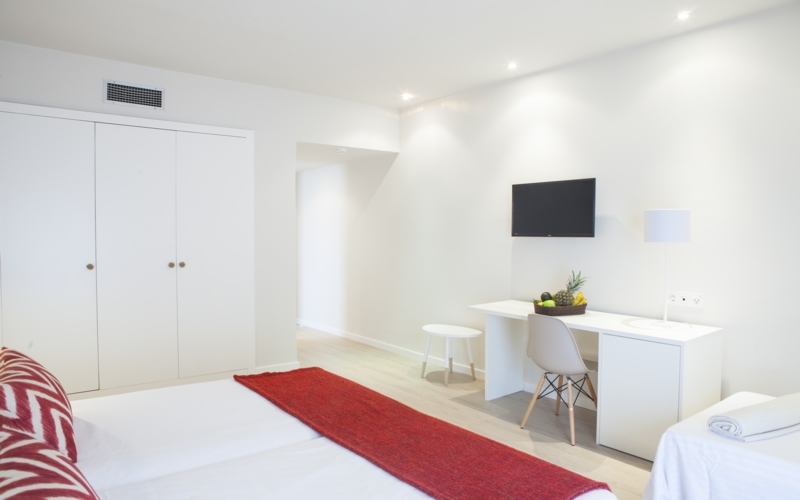 The Hotel Antemare is located in Vinyet, Sitges most exclusive neighbourhood. It is one of the few hotels in Sitges with a large outdoor pool. 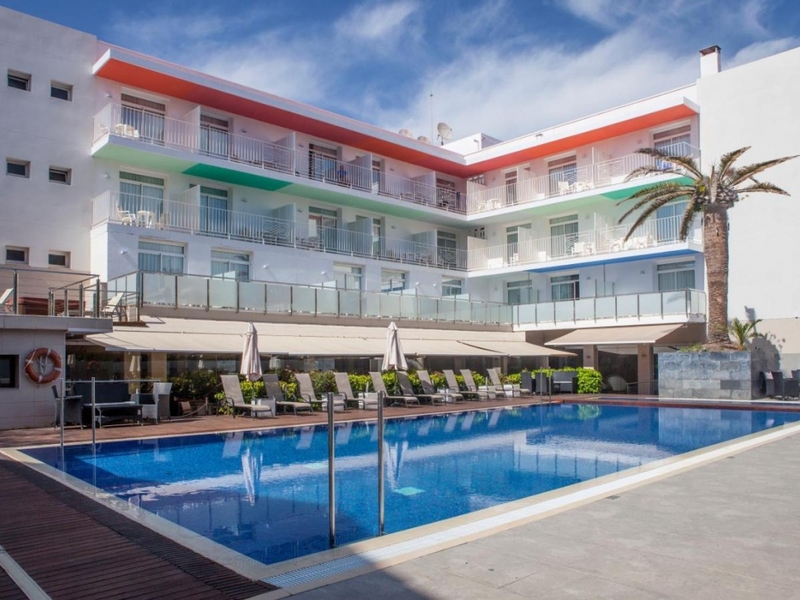 From June 1st to June 10th the entire hotel will become the home of Sitges Pride! The hotel is Adults Only and is host to several of the top parties taking place during the 10 day celebration. The only way to book the hotel for your stay during Sitges Pride is via this official link using the promotion code “GAYPRIDE”. Enjoy great rates, breakfast options and stay in the heart of the Pride action! Guests of the hotel will benefit from queue hop and reduced ticket prices. The Hotel Antemare is the official host hotel for Stiges Pride 2019! The hotel will turn gay and adults only during the 10 days or Pride, the perfect base for you to celebrate the 10th edition of our event! 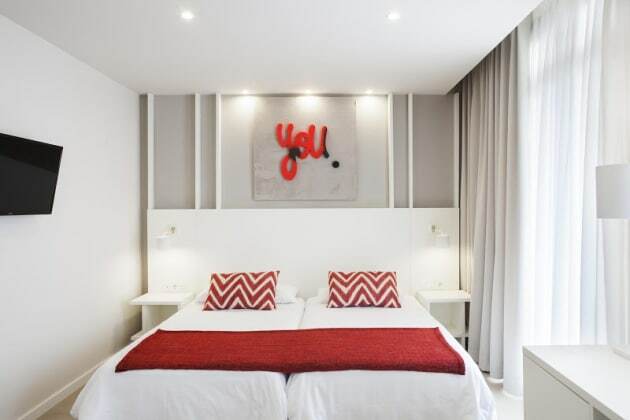 Located in the quiet residential area of Sitges, 1 minute from the beach. the hotel was renovated in 2015 with a bright and edgy interior, it is a small oasis where you can enjoy peace in our fabulous pools. 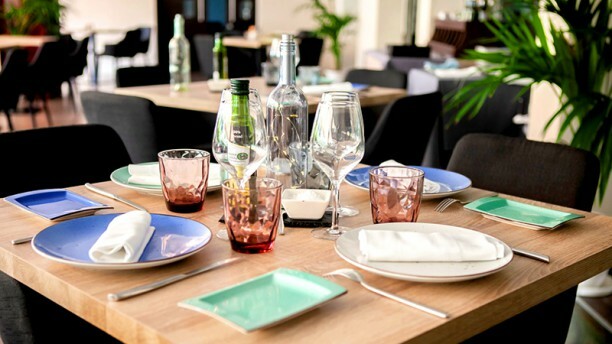 Be surprised by our wide range of gastronomy options, which include La Pergola Restaurant where you can taste our specialties, the new Gastro Bar and the pool terrace. 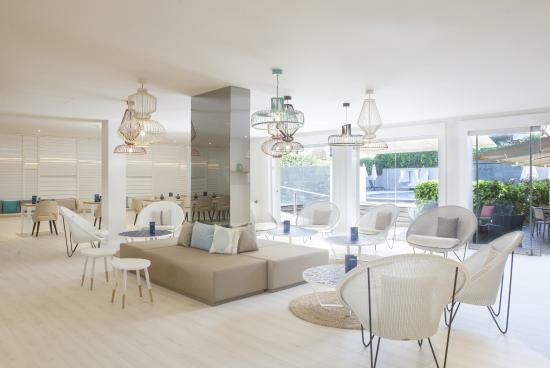 The Antemare also offer a Wellness service with relaxing beauty and wellness treatments. All of this is available in a unique setting where you can fully enjoy your holiday. Guests of the hotel will also benefit from a queue-hop for official on site events and reduced entry to the big parties! Book the official host hotel today! Use this link or the code “GAYPRIDE” to get the best rate! The only way to book the hotel for Pride!